Choosing windows can seem like a daunting task. Fortunately, for anybody who is looking for Replacement Windows, we here at Intex Windows offer a range of affordable windows in greater Los Angeles area. At intex windows we offer most luxuries and high quality brands with affordable certified dealer pricing. There are a number of things you need to consider before purchasing new windows. How Long Will The Windows Last? What is the point of getting poor quality replacement windows? Poor quality windows will only last for a short period of time. Before you spend your money, browse through affordable yet quality windows. If budget is a problem, make the most of special deals and discounts online. Beware of companies that misguide their consumers. Many so-called warrantees are misleading hence read the fine print before you start jumping with joy. Each frame has its pros and cons, hence browse the internet for more information. Ask the salesperson as many questions as you can to make the most of your purchase. All these factors contribute to how energy efficient a window really is, hence consider each factor, one at a time, and ask Intex Windows salesperson as many questions as you want. Security happens to be one of the most overlooked factors while purchasing windows. Poor quality windows have flimsy latches that are easy to break through, making it easy for burglars to enter. 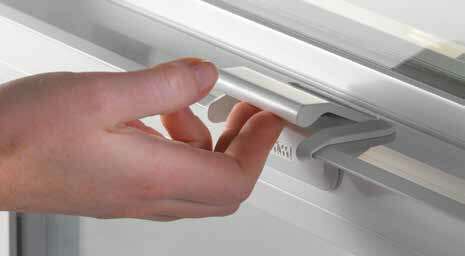 At Intex Windows, we offer a variety range of high quality locking mechanism. It's the easiest, smartest way to lock and unlock a window or door,and also assures you that when your window is closed, its locked. Responding to consumer needs for products that are easy to operate and maintain,Milgard developed the innovative SmartTouch window lock and door handle.